iDEAL, Bancontact, PayPal, credit cards and other payment methods in your Shopware webshop? Download our free plug-in. Select various payment methods and create a seamless check-out. Why download our payment plug-in? It's free. It's easy to implement. And we always got your back with unlimited free technical support. Our Shopware plug-in enables a ready-to-sell payment gateway. You can choose from popular online payment methods in The Netherlands, Belgium, France, Germany and globally. Including mobile payment methods, such as Payconiq and Bancontact. Including post pay payment solutions, such as Klarna and Afterpay. And including giftcards. Plus, an easy way to refund (if necessary). 3. Install and configure the plugin by following the step-by-step instructions. The Buckaroo Technical Support team is available for all your questions regarding installation, configuration and use of the plugin. Or Buckaroo payments in general. Don't hesitate to contact us! We are glad to guide you in with a step-by-step manual. If you experience any difficulty in your journey to install our plug-in, don't hesitate to give us a call! The plug-in can be installed in Shopware by going to Configuration -> Plugin Manager -> Search for Buckaroo. If you have the ZIP file of the plug-in, it can be uploaded by going to Configuration -> Plugin Manager -> Installed -> Upload plugin. Select the ZIP file and click on Upload plugin. The plug-in can then be installed and activated. Click on the green plus (+) sign to install it. Then click on Activate to activate the plug-in. To be able to process transactions through Buckaroo, follow the following steps. A few keys need to be retrieved from the Buckaroo Plaza and the push settings need to be configured. If you do not have a Buckaroo account, please contact the sales department through sales@buckaroo.nl or +31 (0)30 7115010 to request an account. Please go to https://plaza.buckaroo.nl/Login and log in with the account information you received. 2.1 Website keyGo to My Buckaroo -> Websites. Here you will find your website key. Copy this key, this will be required in section 3.1. Please note: it is possible to have multiple websites in your Buckaroo account. Through the filter at the top right you can switch between the websites. Each website has its own key. 2.2 Push settings While still at My Buckaroo -> Websites, go to Push settings. Here you need to tick the checkbox in front of “Enable Push Response”. Under 3.0 BPE return fields, choose “Uppercase and lowercase letters”. No other settings need to be changed in this screen. Make sure you save the settings. 2.3 Secret KeyGo to Configuration -> Security -> Secret Key. Copy this key, it will be required in step 3.1. If your account is new, the field will be empty. In this case, you can fill in your own Secret Key. Treat this as a password: make it hard to guess and don’t share it with anyone who does not need to know it. Do not forget to click on Save! Please note: when installing the Buckaroo plug-in in Shopware, a Secret Key is generated by Shopware. You are free to copy this key from Shopware and paste it in Buckaroo (see section 3.1 where to find it in Shopware), or you can overwrite the one in Shopware with the key you made up yourself. 3.1 Basic configurationThis part will explain about the settings that are required to be able to start a transaction. The next section (3.2) will explain about all the other options that the Buckaroo plug-in offers. In the Shopware backend, go to Configuration -> Basic Settings -> Additional settings -> Buckaroo. Under “Website-key”, fill in your website key that you obtained in section 2.1. Under “Secret”, fill in your Secret Key that you obtained in section 2.3 and click on Save. It should now be possible to create transactions. 3.2 Advanced configurationBelow the Website- and Secret Key, you can find several other settings. These settings will be explained below. Environment:Whether transactions should be created as test or as live. When this is set to Test, transactions will always be created as test, regardless of the test/live status of the specific payment methods. When this option is set to Live, transactions will be created as live, unless a specific payment method is set to Test, then the transactions for that payment method will be created as test. iDEAL/Giropay/American Express/Mastercard/Visa/PayPal/Bancontact/Sofort/Eps:Whether the specific payment method should create test transactions or live transactions. If the Environment option (see above) is set to Test, the transactions will always be test transactions, even if a specific payment method is set to Live. One important thing to note: creating test transactions only works if “Allow test transactions” has been enabled in the Buckaroo Plaza. You can find this option under My Buckaroo -> Websites -> 3.0 Settings. This option only decides whether transactions should be declined or allowed. Whether a transaction is being created as test or live is decided by your Shopware settings, not by this setting. Send status mail:Whether an e-mail should be sent to the customer when the order has the Open status and then changes to Completely paid. This happens when the status was still pending when the customer returned to the webshop, but at a later stage changes to success. The template of the e-mail that will be sent can be changed under Configuration -> Email templates -> Status emails -> Payment status -> Completely paid. Send refund status mail:Whether an e-mail should be sent to the customer when you refund an order. The template of the e-mail that will be sent can be changed under Configuration -> Email templates -> Status emails -> Payment status -> Re-crediting. Send Klarna pay status mail:Whether an e-mail should be sent to the customer when you activate/invoice a Klarna reservation. The template of the e-mail that will be sent can be changed under Configuration -> Email templates -> Status emails -> Payment status -> Completely paid. 4.1 DescriptionThe description that is sent to Buckaroo for each transaction is always “[TransactionID] – [ShopTitle]”. The TransactionID is the number that is sent to Buckaroo as invoice number. It is advised not to change this, but if needed, it can be changed under Configuration -> Basic settings -> Shop settings -> Number ranges -> Invoice number for Buckaroo. It will go up by one for each new transaction. The shop title can be changed in Shopware under Configuration -> Basic Settings -> Shop settings -> Shops -> Click on your shop -> Title. If no title is available, the plug-in will use the webshop URL instead of the shop title. For refunds, the description of the transaction is “Refund [TransactionID] – [ShopTitle]”. 4.2 Buckaroo checkout languageThe language that is shown on the Buckaroo checkout, for example for credit card payments, is based on the culture code that is sent to Buckaroo in the transaction request. The culture code is based on the Localization setting of your shop. You can find the Shopware Localization setting under Configuration -> Basic settings -> Shop settings -> Shops -> Click on your shop -> Localization. 4.3 Order number versus TransactionIDWhen an order is placed by one of your customers, a transaction request is sent to Buckaroo. At this moment, no order has been created yet in Shopware, which means an order number is not yet available. The plug-in therefore creates a TransactionID which will be sent to Buckaroo as the invoice number. 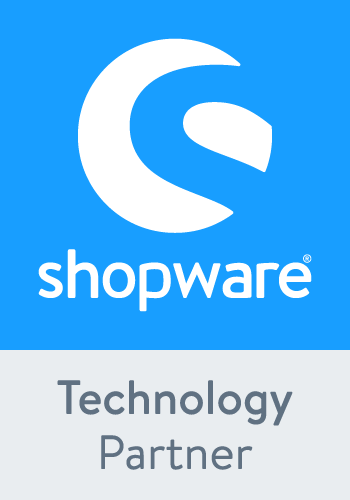 The reason that the order is not created immediately in Shopware is that if the transaction fails or is canceled, the customer would have to fill in his personal details again. By not creating an order yet, if the transaction fails or is canceled, the customer can try again immediately. If you want to look up a transaction in Buckaroo, you can search for the TransactionID in Buckaroo. The TransactionID is also shown in the Orders screen in Shopware. 4.4 PayPal province/state required for certain countriesDue to seller protection being automatically enabled for PayPal, it is required that for certain countries, the customer’s state/province is sent along. This is required for the following countries: Argentina, Brazil, Canada, China, Indonesia, India, Japan, Mexico, Thailand and USA. The state selection can be activated and made mandatory under Configuration -> Shop settings -> Countries -> Click on a specific country -> “Display state selection” and “State selection required”. Please note: for most countries, Shopware does not have a list of states/provinces. At least for now this means you have to manually add the states/provinces for those countries if you wish to use PayPal in that specific country. This only counts for the countries mentioned in the first paragraph of this section. 4.5 CurrenciesIt is possible to let the customer pay in a different currency by offering multiple currency options in the front-end. Go to Settings ->Basic Settings ->Shop Settings ->Currencies. Here you can add any desired currency, but be aware that not all currencies are supported by specific payment methods. For instance, iDEAL is a Dutch SEPA payment method and therefore only supports € Euro. Credit Cards on the other hand are worldwide and support many currencies. Contact support@buckaroo.nl for an overview of the latest supported currencies per payment method. After you added one or more currencies, go to Settings ->Basic Settings ->Shop Settings->Shops. Then click on your shop and you can activate/deactivate any available currency. 4.6 RefundsOrders can be refunded through the order page in the Shopware back-end. Full refunds as well as partial refunds are supported, except for one situation: if an order includes a discount voucher, only a full refund of the order is possible. A partial refund can then be done from within your Buckaroo Payment Plaza account: https://plaza.buckaroo.nl/Login. This is the new version. Select this version if you have an AfterPay contract exclusively with Buckaroo (not a contract with both Buckaroo and AfterPay). This is the old version. If you have an Afterpay contract with both Buckaroo and Afterpay, then select this version. 5. Technical support The Buckaroo Technical Support team is available for all questions regarding the installation, configuration and usage of the Shopware Plugin. Feel free to contact us by email: support@buckaroo.nl or phone: 030-7115050 (work days from 08:30 to 17:00). 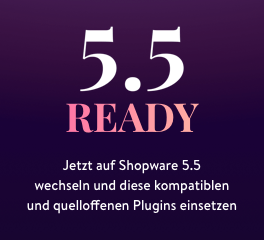 - Improving Shopware 5.5.8 compatibility. - Solved issue with Payconiq push message. - New payment method: Afterpay (new version) added. - Structural changes in the plugin due to Shopware 5.5.7 version update. - Billing and shipping extra fields validation is done while selecting payment method. - Stock gets reserved when customer initiates payment process. - Klarna auto capture is supported if enabled in Merchant Buckaroo account. - API messages made translatable via backend snippet manager. - All build in extra field validation messages made translatable via backend snippet manager. - Removed BIC, IBAN and Chamber of commerce fields from register form. - Fixed Paypal issue with Italian billing address. Improved Shopware compatibility with the Community-Store. Fixed issue with model name. 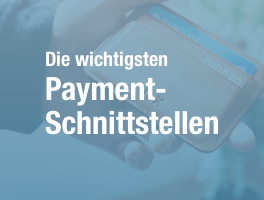 - addition of Payconiq, Carte Bleue & Bancaire, Focum AchterafBetalen.